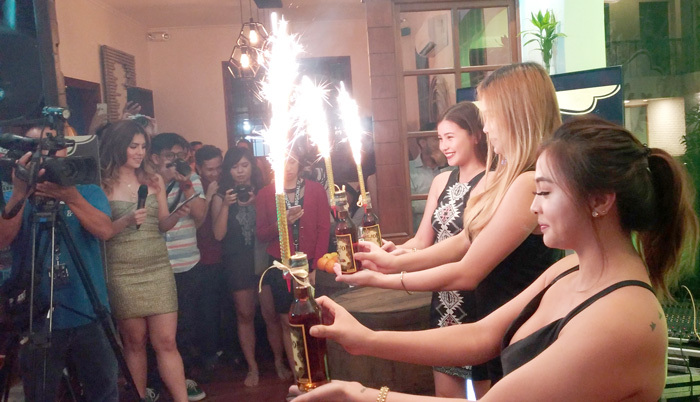 ‘Inuman’ is probably one of the most celebrated aspects of Filipino culture. We can’t let an occasion pass without having to share a drink with relatives and friends. In fact, we’re known to share one even to the strangest of people we just met. Through time we’ve encountered so many brands and spirit names along the course of our everydayness meeting people - sharing drinks. Some brand names have special kick that stick with us, some just passed through like strangers we met along. But those that stick around, we remember and went faithful with it. 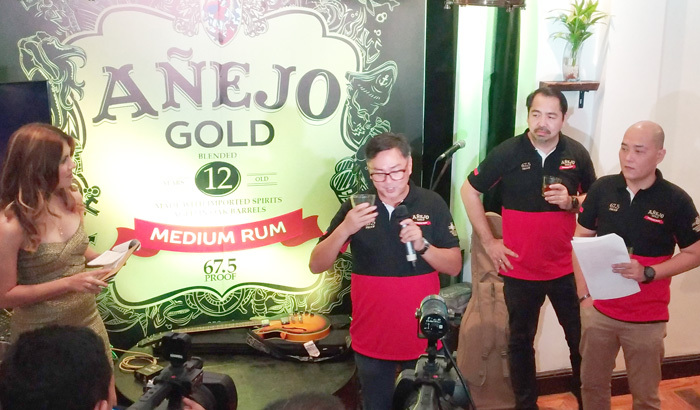 And just recently, Ginebra San Miguel, Inc., maker of world's no.1 gin introduced the latest member of its family as it launch its new product - Añejo Gold Medium Rum. 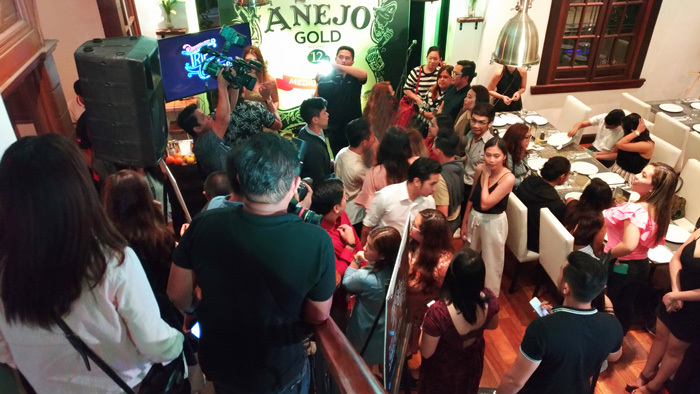 It was unveiled with TripScape as concept - a way to escape to do what you love, and so, ‘walang basagan ng trip’ so to speak. 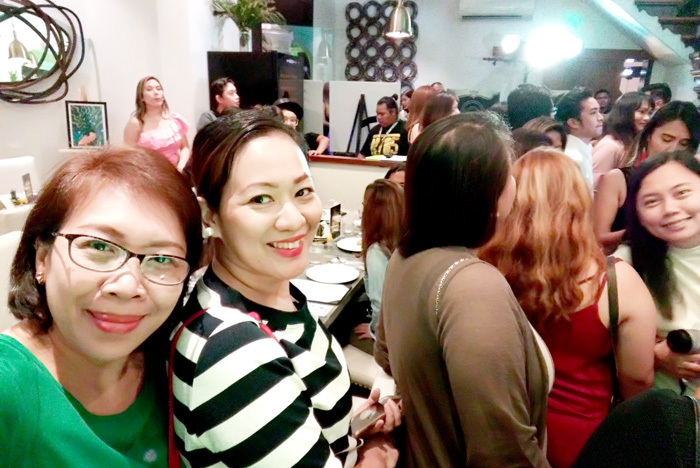 The launch was held at Bondi & Bourke along Legaspi St. here in Davao City. It was kind of cramp considering the number people who attended but it went well regardless. the very thing you believe is worth fighting for. 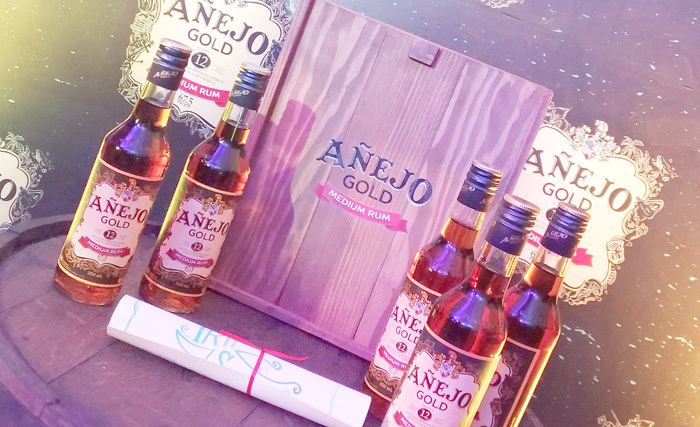 Añejo Gold Medium Rum is made from alcohol that has been aged in oak barrels for 12 years and blended with high quality ingredients. The 67.5 proof rum is made to taste, smell, and feel just right. Medium rum gives you the right hit – not too light that you need to drink more, not too strong that you have regrets the next day. Crafted for the passionate and brave souls. 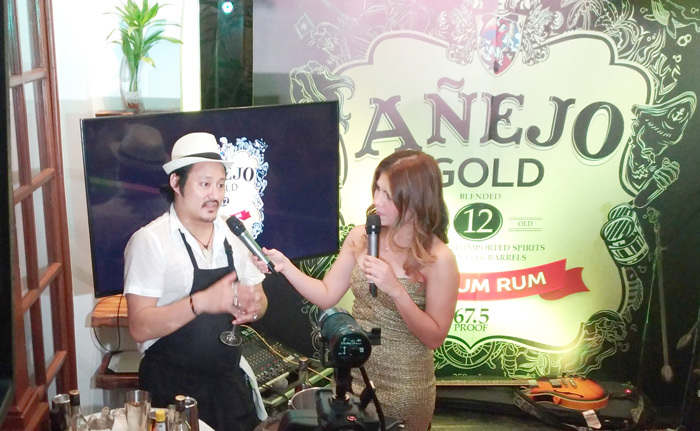 Añejo Gold Medium Rum is a drink that encourages you to escape to do what you love with each and every sip. especially the 'Jingle Sing Along Challenge' - that was fun! 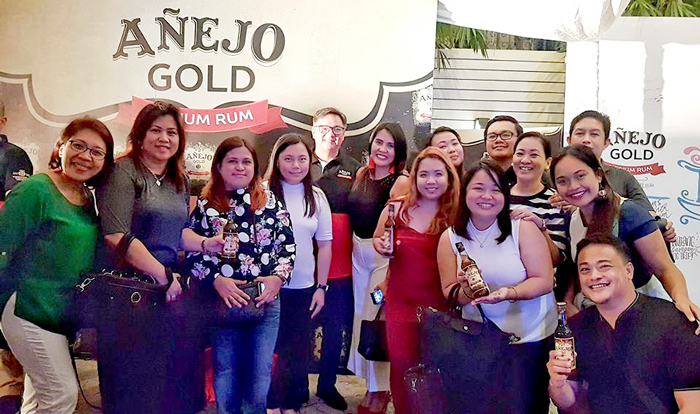 Añejo Gold Medium Rum sparkly reveal! The event was hosted by Sam Purvor, Miss Earth Water 2012. “Why TripScape? Because behind every escape is a story of passion waiting to be told. Wherever you are on your journey we want to take that journey with you and we also want you take the journey with us. Our product (Añejo Gold Medium Rum) is also the same. This is also the result of passion of the people behind it. Passion is characterized by one thing and that is excellence. We’re launching first here in Davao because we want to let you experience excellence of our product first”, said Ronald Rudolf C. Molina, Ginebra San Miguel Inc. AVP & Marketing Manager. 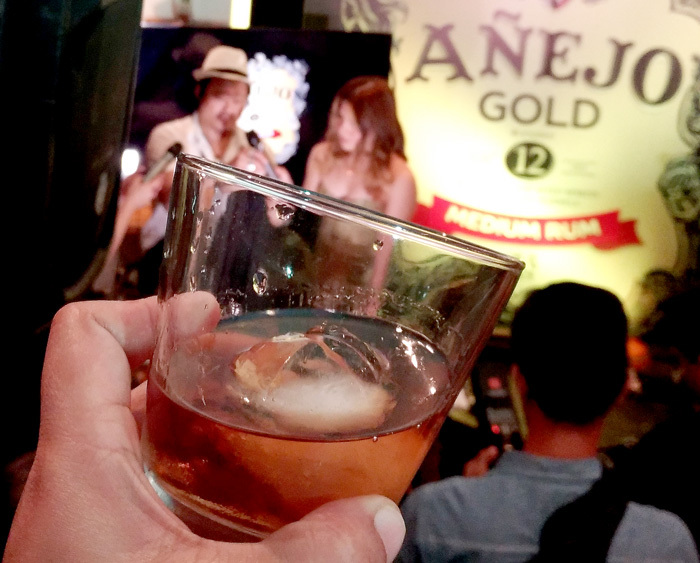 enjoy Añejo Gold Medium Rum with great mixes. TAKE IT NEAT: Straight from the bottle and into your glass. ENJOY IT ON THE ROCKS: Have it chilled with few ice cubes. MIX IT UP: Create a classic Cuba Libre or get fancy with a dark Daiquiri. 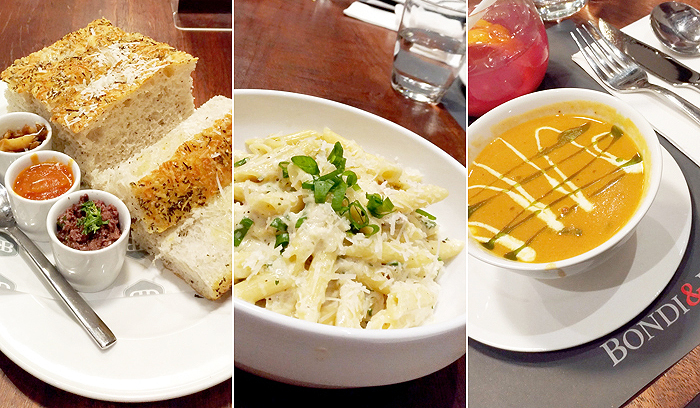 Food at Bondi & Bourke was great! 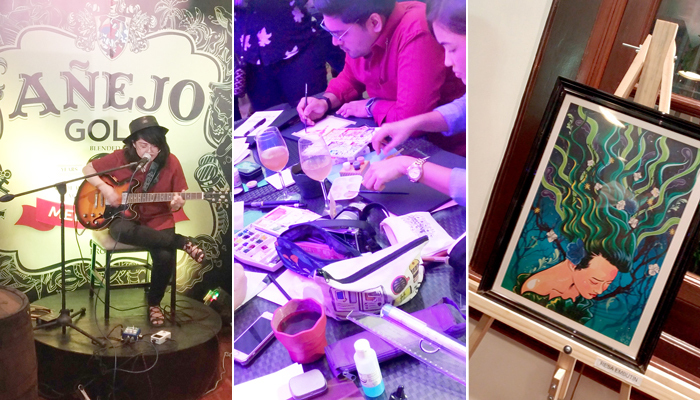 Joey Chio (Photographer) and live art session with Davao Pen Society. graced the stage and share their passion for music. 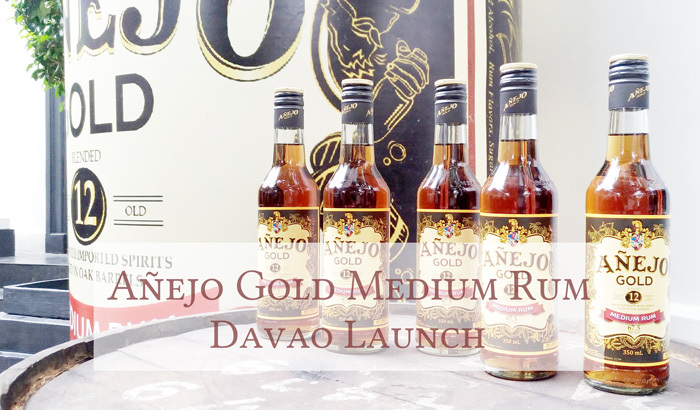 try out Añejo Gold Medium Rum!